It is Impossible to prosper a satisfied life without experiencing his/her responsibilities and priorities towards Islam. Islamic-channels enlighten people about their priorities in Islam. The best guideline for a Muslim-Ummah to settle a peaceful and tension free life is to follow the instructions of the holy Quran and Sunnah. Many religious personals watch live Islamic-channels to get guidance for settling a peaceful prosperous life. This is an era of satellite channels, as various nations contest with each another to possess a powerful source to deliver their messages and win their interests towards their religious believes. Muslims have evenly made phenomenal headway in the practical field and devoted some channels for the betterment of Islamic values. The impression of Islamic values is completely doctored in most of the communities especially in the Western world. It is our rightful job to highlight the true picture of Islam and we can obtain our objective by promoting Islamic channels in aid of Islamic values. The mental structures of a sizeable community of Muslims have been infected as a reaction of their wrong perceptive of Islamic values. The western culture played a vital role in creating conflicts between different minds of thought and religious activities in the Islamic Ummah. This particular movement crudely distributed us in groups, many of which have departed from the Islam circle eventually and lost their integrity while some preoccupied extremist perspective and backed away from Islam’s balanced line. All these groups will reflect a negative effect on Islamic community especially on our young generation. An Islamic channel will positively support the process of rectifying misunderstandings about Islam and will also upgrade Islamic knowledge and help propagate balanced Islamic education. Millions of Islamic followers and societies situated in non-Muslim communities, especially in America and Europe, lack true awareness of the Islamic believe and practices. These societies are indeed requiring an Islamic channel to safeguard their Islamic integrity and tie them with their roots. It will establish their tutorial orientation by supporting them with sacred and mental input and enables them to connect with non-Islamic communities in which they live. Some countries especially those with a well-established system of believe, broadcasting akin to one specific religion is allowed or in some circumstances necessary. For example the duty of The Islamic Republic of Pakistan Broadcasting Corporation is restricted by law “to broadcast only programs that develop Islamic culture, national integrity and standards of democracy, Independence equality, patience and social integrity as outlined by Islam. When we make a statement regarding Islamic channels 2 leading questions emerge: Is there any requirement for an Islamic channel in the modernized world? And how do we describe an Islamic channel? And are the religious programs similar to those that have been broadcasted since their start from the 1960s? We have to justify these essential questions before concluding of the recent position of Islamic channels. Honoring the positive efforts of Islamic channel analysts differ with opinions on the interpretation and quality of Islamic channels. Some are reflected with an influence that Islamic channels are just an addition of religious TV programs in both practically and theoretically. Some think that it is a collection of Religious preaching material broadcasted by TV channels, which can be plagiarized and broadcasted by a channel highlighting specific viewers of sacred mindset who do not wish to view other channels than Islamic. 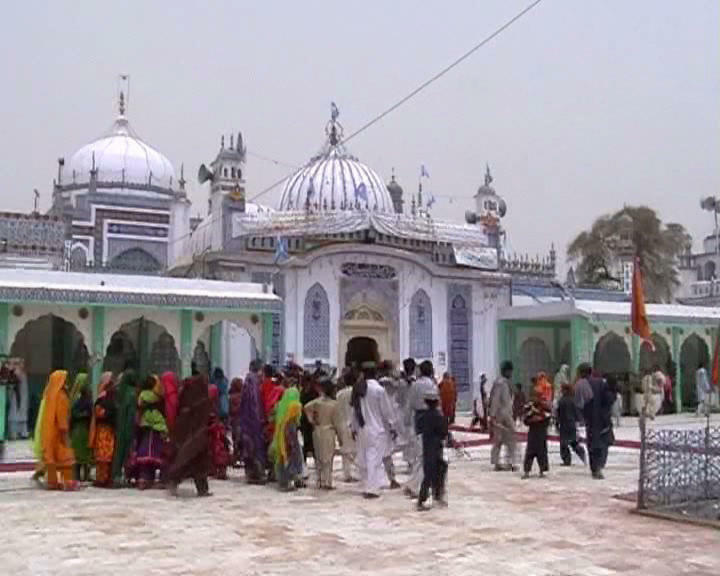 Under consideration there are miscellaneous Islamic-channels on the picture in The Islamic Republic of Pakistan. The biggest name includes Madani-Channel established in (2008) and administrated under the supervision of Dawate-Islami propagation of the holy Quran & Sunnah founded by Ameer-e-Ahle Sunnah Hazrat Moulana Abul Bilal Muhammad Ilyas Attar Qadri (دَامَتْ بَرَکاتُہُمُ الْعَالِیَہ). “Madani-channel is broadcasting religious programs presented by Muslim scholars offering fatwas and preaching Islam according to Sunnah of the holy prophet (صَلَّی اللہُ تَعَالٰی عَلَیْہِ وَاٰلِہٖ وَسَلَّمَ)”. 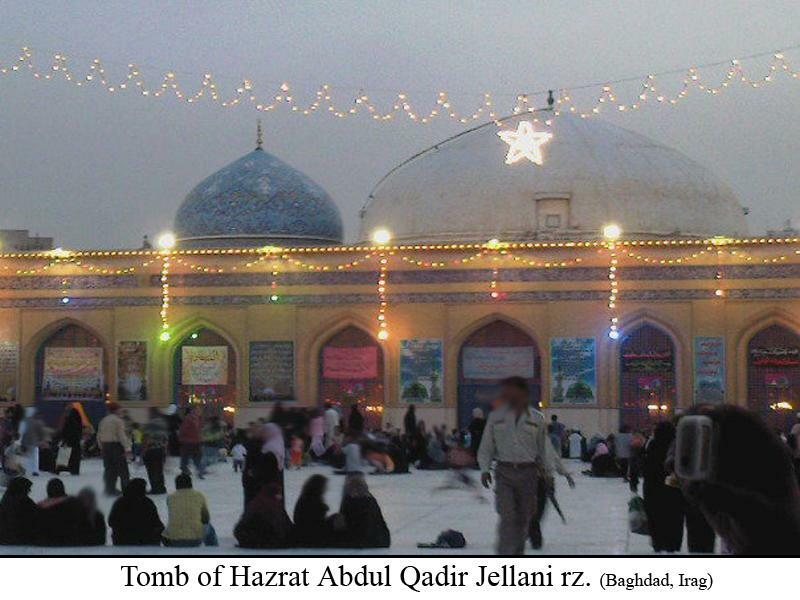 Abdul Qadir Jilani (رَضِیَ اللہُ تَعَالٰی عَنْہُ) was still studying in a Madrassa located in Baghdad shareef when his dearest father and grandfather sayedi Abu Saalaeh (رَضِیَ اللہُ تَعَالٰی عَنْہُ) and Hazrat Abdullah Soom’ee (رَضِیَ اللہُ تَعَالٰی عَنْہُ) migrated from this worldly life to the better Hereafter. After their demise the burden of his education fell on the holy shoulders of his sanctified mother (رَضِیَ اللہُ تَعَالٰی عَنْہَا). With endurance, truthfulness and loyalty, she performed the duty which was appointed to her. When Huzoor Ghous-e-Azam (رَضِیَ اللہُ تَعَالٰی عَنْہُ) was about 18 years old he wished for an approval to journey to Baghdad, so he may complete his education and strive for more & more divine knowledge. 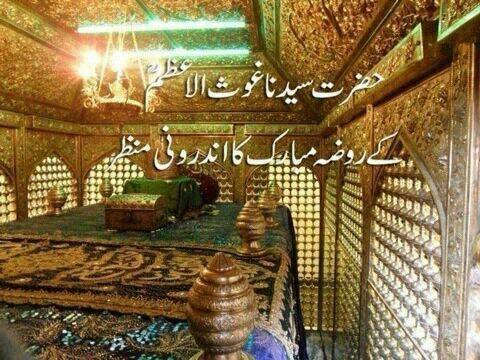 His loving mother (رَضِیَ اللہُ تَعَالٰی عَنْہَا) permitted him without a 2nd thought agreed to this self-sacrificing appeal. 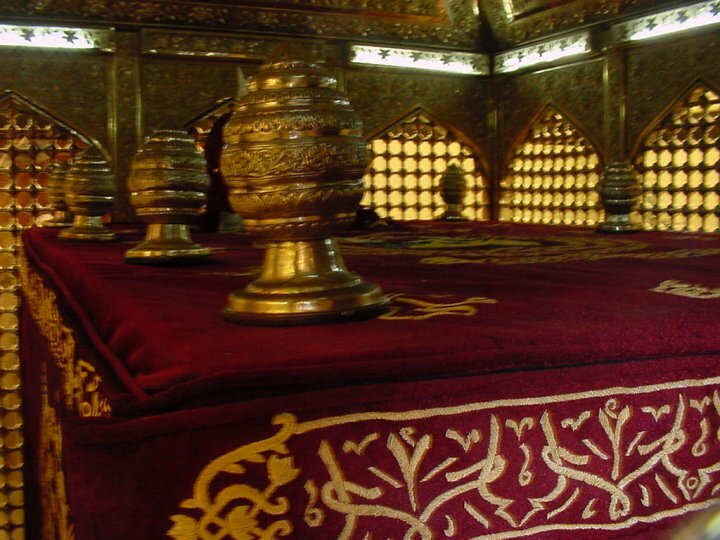 Sayyeda Um-mul Khair Fatima (رَضِیَ اللہُ تَعَالٰی عَنْہَا) in here old age said: Good-bye to her son Abdul Qadir Jilani (رَضِیَ اللہُ تَعَالٰی عَنْہُ). It was such a stage in her life, when parents generally hang on to their children for ethical and economical backing but this religious and clean servant of Almighty Allah (عَزَّوَجَلَّ) desired just the liking of both Almighty Allah (عَزَّوَجَلَّ) and his dearest prophet (صَلَّی اللہُ تَعَالٰی عَلَیْہِ وَاٰلِہٖ وَسَلَّمَ). Although she was very fond of Huzoor Ghous-e-Azam (رَضِیَ اللہُ تَعَالٰی عَنْہُ) but she did not let her emotional spirits come afore the liking of Almighty Allah (عَزَّوَجَلَّ). She desired her son to become a man of true knowledge and wise wisdom. Particularly in that time, people travelled a lot more over on foot by the means of horses & camels passing between thick forests and jungles. There was a real threat of voyagers being mugged and executed. Significant to all the circumstances she still braced his call and greeted well wishes by kissing his forehead. She said, “Dear Abdul Qadir I have grown very old and I can assume that will never ever see you again but my prayers and blessings will always be guiding you. May Almighty Allah (عَزَّوَجَلَّ) award you with victory in your journey of achieving knowledge?” His loving mother advised him with a Pearl of wisdom, “I am stitching 40 dinar’s in your coat, for your expedition and Abdul Qadir my darling child Knot my advice and assume this as a key to a successful life. At all times say the truth! Do not even think of speaking lies”. Huzoor Ghous-e-Azam (رَضِیَ اللہُ تَعَالٰی عَنْہُ) replied “My beloved mother, I give you my word that I will permanently deed on your guidance”. Sayyeda Fatima (رَضِیَ اللہُ تَعَالٰی عَنْہَا) then hugged the star of her eyes with affection and motherly tenderness for the last time and departed him with these praising words “May Almighty Allah (عَزَّوَجَلَّ) guide you he who is your Defender and Helper”. Ghous-e-Azam (رَضِیَ اللہُ تَعَالٰی عَنْہُ) stated: When I had left home for this voyage, I had made a promise to my virtuous mother that I would never ever be untruthful. How could I break a promise which I made to my mother only for saving 40 dinars? After listening to the complete incident Ahmed Badawi (the leader of the gang) felt shameful and with tears sheading from his eyes said: Sacred young man, You were extremely loyal towards the promise you made with your mother Disgrace on me for an age I have been very disloyal towards my promises which I made with my Creator Almighty Allah (عَزَّوَجَلَّ). After uttering these verses, the outlaw cried extremely and fell to the holy feet of Ghous-e-Azam (رَضِیَ اللہُ تَعَالٰی عَنْہُ) and asked for forgiveness true heartedly from his sins. When his assistants witnessed this scene, they too similarly apologized sincerely from all their sins. They refunded all the things of the travelers and guided them out of the forest. It has been stated that the apology of these thieves was so heartfelt, that they were sanctified with the level of Wilaayat, only because of Huzoor Ghous-e-Azam (رَضِیَ اللہُ تَعَالٰی عَنْہُ). Huzoor Ghous-e-Azam (رَضِیَ اللہُ تَعَالٰی عَنْہُ) stated: This was the first apology made by a number of Astray people by my very hands.